Putting together a baby registry (especially if it’s your first!) is one of the most exciting parts of a pregnancy. 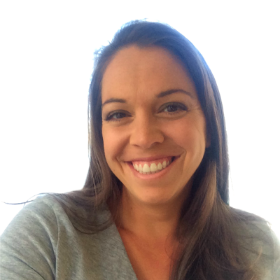 You can really start to visualize your baby being with you! 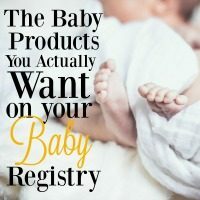 There are tons and tons and tons of things to add to your registry – and you’ll still get a ton of stuff not on your registry – but you really don’t need (or necessarily want) all of those things. So here are the things you definitely DO want! Christmas for your 3-year old is a BIG deal. In many ways, it’s almost like their first Christmas because they’re finally old enough to understand everything and get excited! Which means you obviously don’t want to leave out any detail – including the stocking! 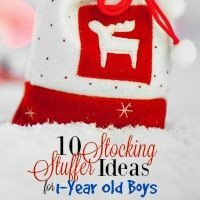 Stockings are a ton of fun to shop for, but obviously you don’t want to spend too much money. All of these ideas are relatively cheap, but don’t forget about the easy wins, like their favorite snacks! Those will help to fill up the stocking so you can mix it up with other nice things. Shopping for 1-year olds can be so much fun. Everything is brand new to them! But it can still be tough because they haven’t quite grown into full-blown toys and there’s just so much out there to choose from. My son was fortunate to be showered with gifts as a 1-year old and there were definite, obvious winners. 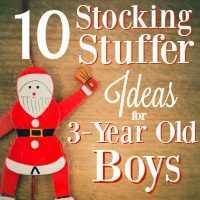 Luckily, you don’t need to spend a lot for these little guys, which is especially the case when you’re looking to fill up their first little stocking! All of these gifts are inexpensive and small, so they’re perfect for little stocking stuffers! My son is obsessed with trains. And leading the pack of all-things-trains is, of course, the one and only Thomas the Train. I don’t know what it is, but something about that show has him completely mesmerized…so I’m always on the hunt for Thomas the Train gifts. 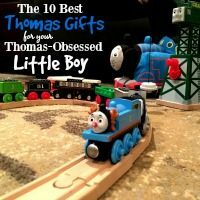 Luckily, from that little boy obsession has sprouted an entire industry of Thomas the Train accessories and toys. And while I’d love to say that my (not) crafty-self has discovered a way to make the equivalent of Thomas from scratch, the reality is that nothing makes me happier than discovering a new Thomas gift that sends my little guy over the moon. He’s just too cute! It’s that time of year again! The Easter Bunny is on his way and more importantly, spring will soon be here! Easter can be a really fun day, especially with little ones. This will be the first year that my son will understand what’s going on (kind of), so I can’t wait to pull out all of the stops! We’re going to be decorating eggs ahead of time, hiding them, and of course opening up an Easter basket from the Easter Bunny! 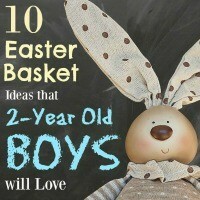 So, for all the parents, grandparents, and aunts & uncles that are wondering what to get for a 2 year-old boy, here’s how to be the favorite this year!